Another day, another troublemaker from my Inktober series of “The People Who Are Destroying America”. 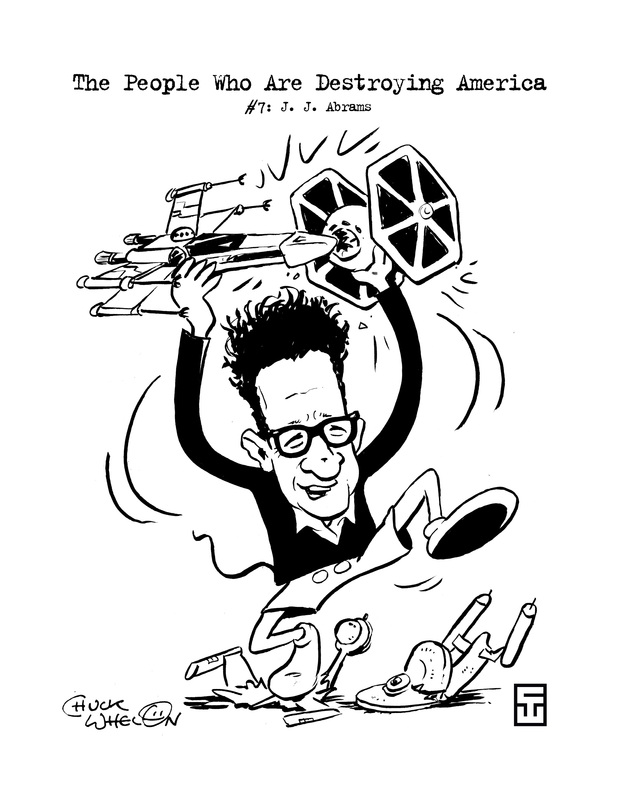 This time it’s that loveable little scamp, J. J. Abrams, who is having lots of fun playing with all the best toys. He promises to look after them, and that they were like that when he found them.